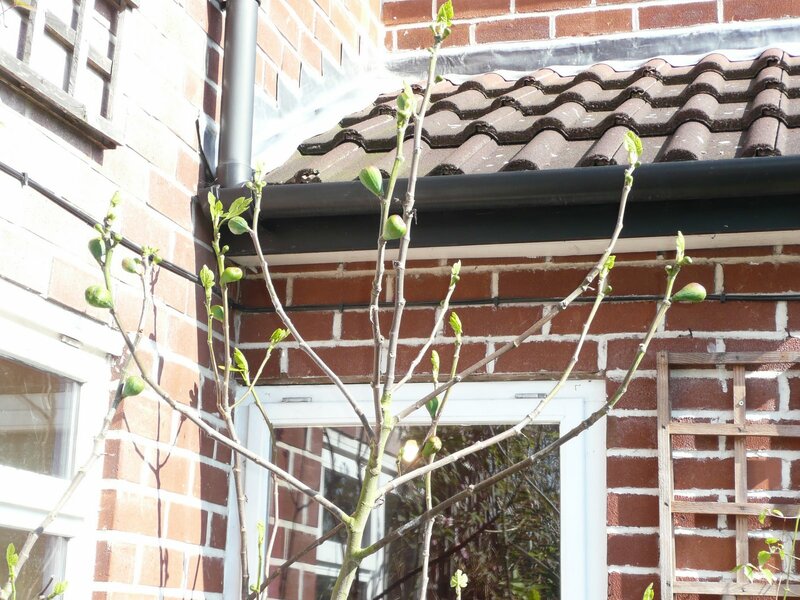 Some years ago, hubby and I discovered a fig tree for sale at the local garden centre. As they only wanted two of our English pounds we decided to give it a go. The variety is Brown Turkey and as we were not knowledgeable we planted it right in a corner of our house. This was a good idea as we have since found out that the roots need to be contained for the plant to fruit well and the plant needs shelter, but was also a very bad mistake as apparently the tap root can cause damage. Moving it is a shame as this year it looks like we are going to have the most fruit we have ever had off it. 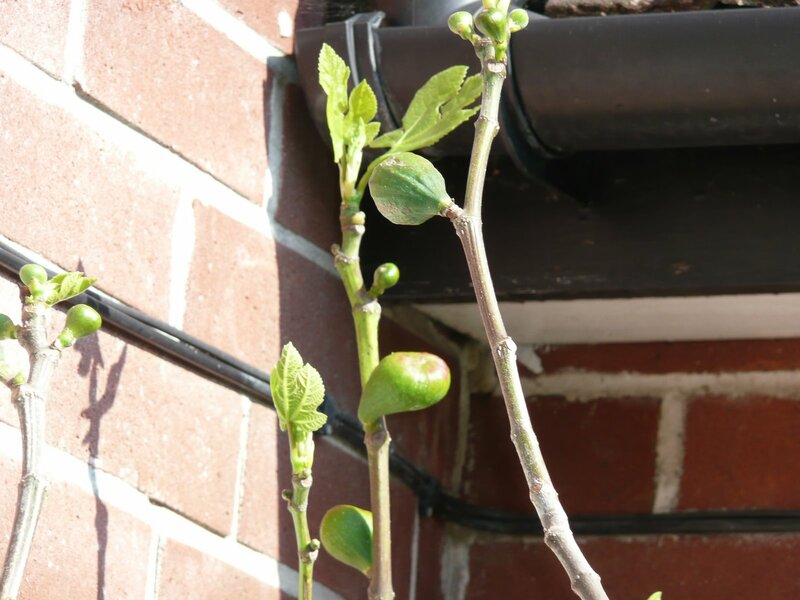 In all of the books I have read about fig trees it suggests that if plants are to be kept in Britain that the larger fruits that remain in the autumn that haven’t ripened should be taken off as they will rot over the winter. Not knowing this snippet of information, I left them on that first year, the really large ones did rot, but the middle sized ones didn’t and in the spring carried on growing. and if you look carefully at this photograph, you can see the odd big fig and the small figs that are this years growth. 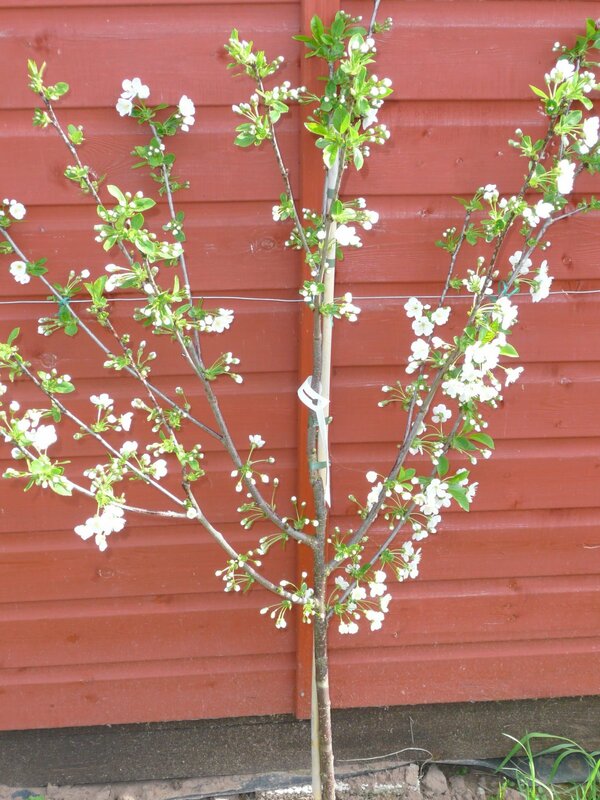 Our cherry tree blossomed a couple of weeks ago, doesn’t she look so very delicate, almost like lace. 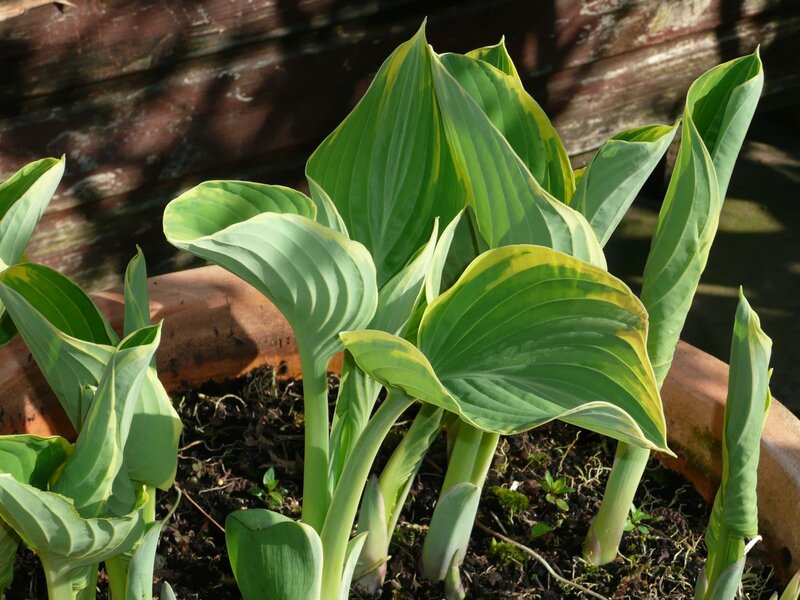 And I think there is nothing like the vigour of hostas springing strongly from the earth to show that summer is well and truly on its way. Bit scary moving the fig tree, fortunately I am at an age where I would say sod it and not bother. I did read that ones in pots fruit better when the roots are confined so maybe they can take a bit of hardship and it will be OK. I kept one in my greenhouse for a lot of years and it produced fruit now and again. In Italy they grow all over the place and crop heavily twice a year, generally when we are not there.